Since the dawn of rock music, critics have built them up to knock them down. They tout a band, an artist as a darling, a best new thing around, only later, maybe after they have released a few albums, to bring them down, find all the ‘new faults’, lack of progression, whatever. 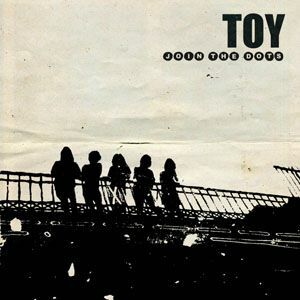 It seems these days the time has come to deride London’s psych/kraut/spaced-out rock quintet TOY. Happy In The Hollow, their latest release has been getting flak all over. The reasons vary, from the fact that the band produced their fourth album themselves to ‘lack of progression’. Frankly, I’m dumbfounded. You can debate the production quality all day long, but if the music shines through and all the elements the band wanted to stress in their music are there to be heard loud (or not so loud) and clear, then whatever you would have done with production loses its credibility as a point. 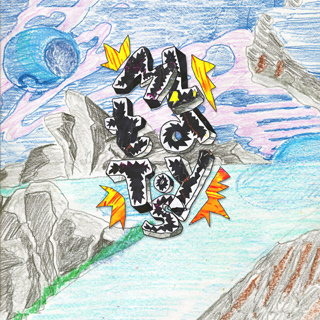 Ok, maybe TOY themselves are not seasoned producers, but the shimmering spaced-out delicacy of “Mistake A Stranger” and “Charlie’s House” or the Krautrock motor of “Energy”, come through just fine and show what TOY have been capable of all along. As far as ‘lack of progression’ is concerned, I see no point. Throughout their first three albums, highly regarded by critics, and here on Happy In The Hollow, TOY have never shied away from the kind of music they want to present to their audience - it is their vision of Psychedelia and Krautrock, all guitar variations (acoustic and electric) vintage analog synths and echoing vocals. Take it or leave it. Actually, their new album shows yet another level of sophistication of their music like on the brilliant “Last Warmth Of The Day”, confirming they have mastered the genre they are dealing with. Maybe in the three years between their previous album and Happy In The Hollow, the critics grew tired of their sound or have discovered new bands? Personally, perfecting one’s sound is a ‘progression’ and in that respect, TOY has progressed and have made another excellent album.